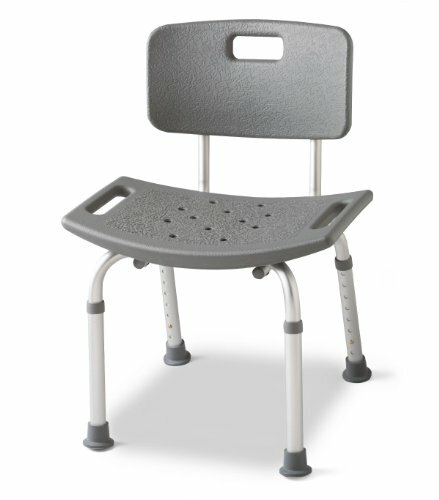 Increased patient comfort comes from the generous, high-density polyethylene seat and back (20"W x 12"D) and angled legs that distribute weight over a larger area. Suction-cup tips on all four legs provide even more stability and safety. Built-in hand grips. Durable anodized aluminum frame is rust resistant. Seat height adjusts from 14.5 - 19.5" (37 - 49.5 cm).